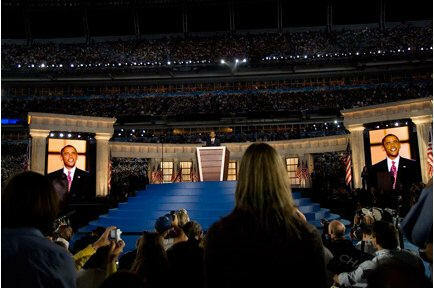 On the table next to Obama is a voodoo-santeria demon Idol. Right above his head is a lithograph of the devil.To the left is some Indonesian false deitys.. 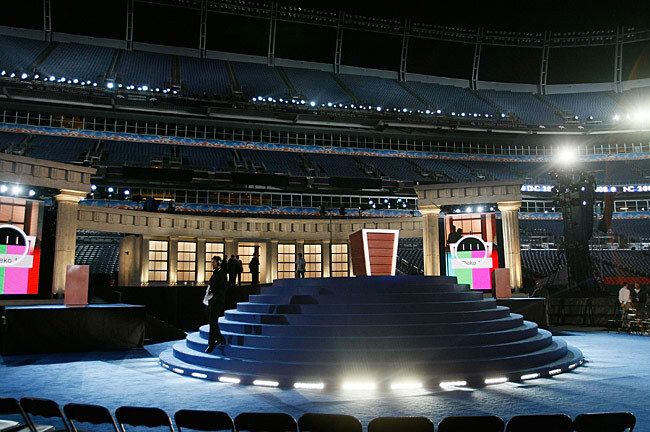 Above Michelle is some masonic. 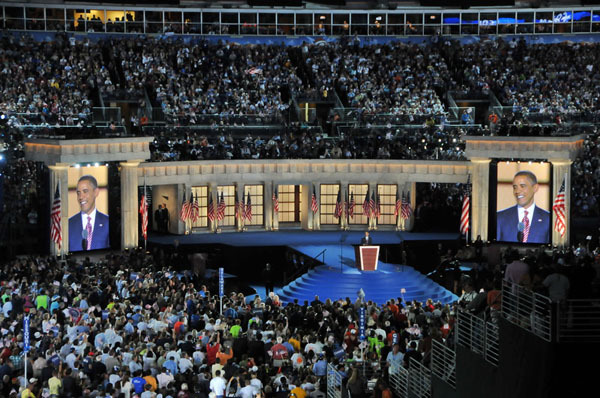 Obama’s stage at the 2008 Democratic convention was designed in the style of the Pergamon Altar, a Greek Temple, which is mentioned in the book of Revelation as the “Seat of Satan” or the “Throne of Satan,” depending on the translation. 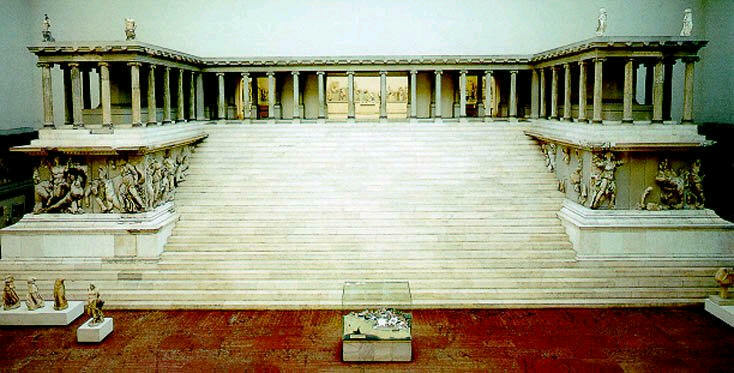 The biblical reference is not just to the altar, but to Pergamos as a center of the all powerful Roman state. 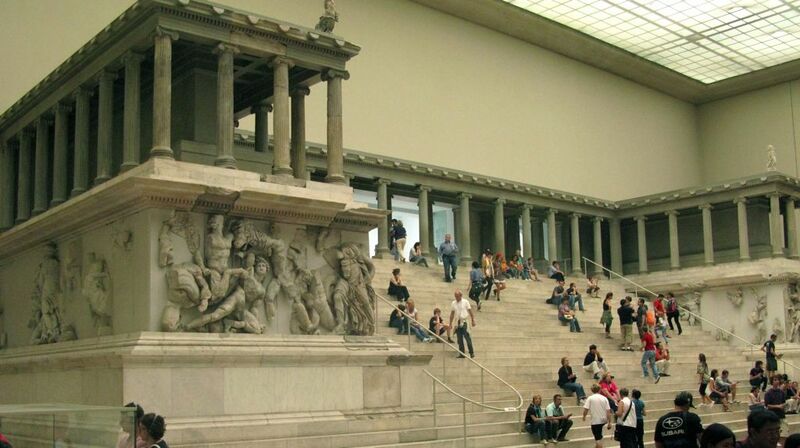 "The Pergamon Altar, a Greek Temple, which is mentioned in the book of Revelation as the “Seat of Satan” or the “Throne of Satan,” depending on the translation. The biblical reference is not just to the altar, but to Pergamos as a center of the all powerful Roman state"
I love that Koolbota get's me thinking. Not being one to jump on every Obama is Satan or the Anti-Christ conspiracy theory that drives by, I can't help but check. And the more outrageous something seems the more chance it has to go viral on the internet! Why would the media hide this from us in plain sight in the New Yorker? Are you saying that the Hindu demon Ravana is Satan? 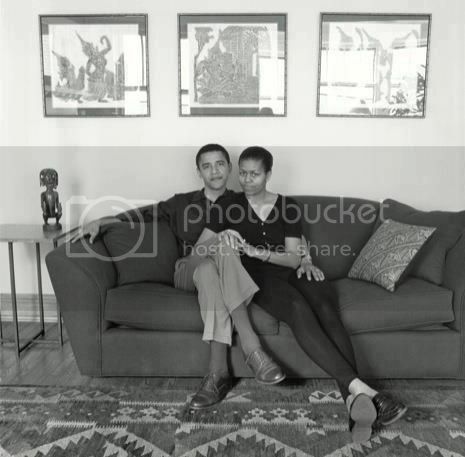 For the original image search "Rubbing of Sita and Hanuman at Angkor Wat"
So the DNC intended to set BHO up on an apparent Satan's throne, for what purpose? Or was it just a wonderful coincidence? p.s. When you re-post stuff from the internet It's proper to put it in quotes with credit given to the original source. But please keep up the good work! I am the source. I saw him for what he was way back in 07. I'm only regurgitating what others are now beginning to see. No, not a coincidence, by design. DNC? RNC? Left or Right???? you've got to be joking, right? All the same and they know exactly what they are doing. Means to YOUR end. Your crazy to say "catholic and protestant religions are also of satan/false religions". Nope, I'm not crazy, I'm factual. Go study the history of the church. Protestant churches are catholic lite, not much changed during the reformation. Study Peter Simon Magus, from whom we get Simon the Sorcerer. Not the same Peter of the NT. Lies, all lies, designed to keep you out of the Kingdom. My theology is an open book (I am fascinated by the history and variations of Christian beliefs). My interpretation of the Bible is literal, but you apparently wouldn't agree with my "mainstream" Protestant Evangelical beliefs. Did Christ died for your sins? Oh man, what I saw when reading the title was Katheryn Winnick. The reason I saw Katheryn Winnick as the title is because she starred in a 2004 movie named "Satan's Little Helper". So I guess just seeing that title reminds me of one of the sexiest women alive. I'm a proud Catholic, and believe that Jesus died for our sins. So I guess your the senator feinstein of religion then. Only what you believe is important. Your crazy senator feinstein. She looks great but I'm not down with that grip. At least it's not a cup and saucer!